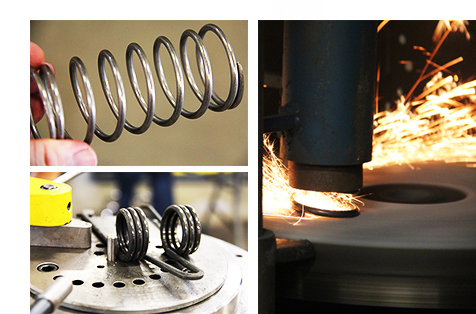 Katy Spring & Manufacturing, Inc. is a full service custom metal spring manufacturing company. 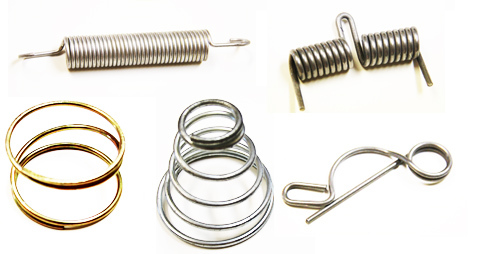 Katy Spring manufactures compression springs, extension springs, torsion springs and flat springs along with other metal components. We cover endless varieties of shapes and sizes. Our Goal is to satisfy our customers and their unique project requirements with our primary focus being customer service. 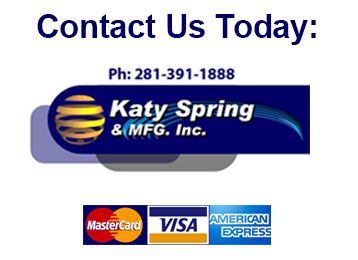 With over 150 years combined experience there are few spring problems Katy Spring hasn’t solved. Please take a moment to visit our website www.katyspring.com. Our ISO 9001 certified quality system ensures the correct product is delivered. To enhance our quality system Katy Spring has implemented (SPC) Statistical Process Control. Charting data using (SPC) exposes any manufacturing flaws before costly mistakes are made on production runs. Katy Spring has a Material Review Board that quickly responds to any customer issues. Call Katy Spring at(281) 391-1888. Health Safety and Environmental are a top priority at Katy Spring. HSE meetings are held weekly. All OSHA Standards and Regulations are adhered to and well documented. Please call Katy Spring (281) 391-1888 to set up a tour of our facility.